Details of elearning companies in the UK, each providing bespoke learning, online game based learning, interactive learning, blended learning, and more. iFlourish provide an end-to-end elearning service, starting with consultancy through to design, development, testing and implementation. They can provide elearning, m-elearning, an app, game based learning, learning platforms or a business application, as well as advice and consultancy to achieve your objectives. They offer a one-stop shop for all your needs, including hosting, video and audio. eOrigen is an elearning company offering high quality digital media production, interactive training videos, video learning, dramatised training scenarios, interactive multimedia modules, plus, many other innovative ideas. They specialise in all aspects of content production including live shoots, aerial and 360, consistently delivering high production values and offering audiences engaging, high impact brand stories, corporate videos, training videos, event videos and promotional videos. 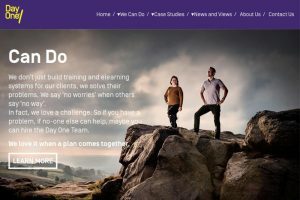 Day One Technologies in elearning company based in West Yorkshire provide bespoke learning solutions, are extremely capable with elearning content development, bespoke LMS and more. Their bespoke simulation training creates an ideal environment for interactive learning, onboarding and developing staff in the use of IT systems. Walkgrove is an elearning solutions company based in the UK and Australia, and their core business is the design and development of elearning, bespoke learning and blended learning programmes. They also offer a wide range of off-the-shelf Ready to Go e learning modules, classroom training, workshops and other generic elearning training and interactive learning resources. Virtual College is a leading provider of e learning, online courses, blended learning and learning management systems (LMS). Virtual College provide a choice of over 350 online e learning courses for compliance and self-development. 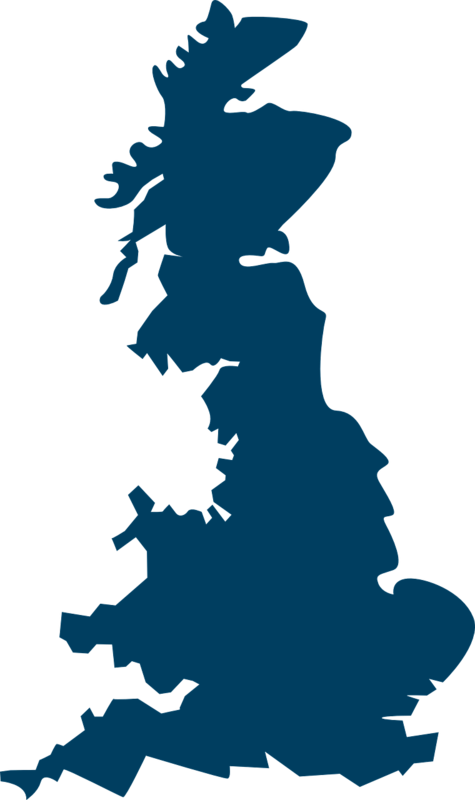 They have provided bespoke learning and complete design, delivery and progress support training packages in a wide range of sectors including; Apprenticeships Construction, Healthcare, Lean Healthcare Housing, Manufacturing Productivity, Telesolutions, Safeguarding and Social Care. WillowDNA are a bespoke learning company and providers of custom e learning and blended learning solutions based in Bristol. They offer a cloud based LMS – Pathway – which is now also available pre-loaded with a library of content on popular business topics from SkillPill, and integrates a responsive authoring tool – gomo – within their new Pathway360 package. Titus Learning is an e learning company and official Moodle Partner in the UK , and is a provider of LMS solutions for professional training providers, as well as VLEs (virtual learning environments). Based in West Yorkshire, Titus provide bespoke learning solutions and have a wealth of expertise in developing VLEs. The Learning Rooms delivers e learning courses and blended learning programmes. Their bespoke learning courses deliver high-quality e learning on leading management practice in key areas including performance management, policies and procedures and conflict resolution. They also offer bespoke learning and courses in specialist health and safety areas such as Manual Handling and People Handling. GLAD Solutions are a specialist in bespoke learning. Their rapid e learning development allow them to fit around their client’s needs. GLAD have developed personalised e learning, which uses an adaptive model to ensure that each learner using a piece of e learning receives content relevant for their knowledge level. aNewSpring is an e learning company with a platform that is feature rich but easy to use and offers social and mobile learning, blended learning, bespoke learning solutions, and adaptive learning including the innovative MemoTrainer. aNewSpring is configured to support training by effectively managing content to deliver the optimum blended learning solution. The e learning platform is available internationally. Safety Media supply Health and Safety e learning solutions. Enterprise e learning from Safety Media includes built for purpose risk management focused LMS as well as the ability to deliver e learning and encourage interactive learning in a classroom type situation using smart technology. Express e learning allows access to a slimmed down version of the risk management LMS as well as full access to the course library. Safety Media are experts in Health & Safety e learning. Brightwave create bespoke learning solutions. They develop elearning solutions that achieve a positive measurable impact, and provide a complete elearning service involving interactive learning, including: Bespoke learning and blended learning solutions, Live online training, Evaluation and consultancy, Managed elearning services and LMS, Mobile learning solutions, Business transformation and organisational change. e-Learning Centre by Learning Light offers bespoke learning and a comprehensive range of online courses. The video elearning courses include Leadership and Management, Selling Skills, Communication, Negotiation, Presentation Skills, Health and Safety, Food Hygiene, Health and Social Care, Business Improvement Techniques and Productivity. It also provides a wide range of online language learning courses. Elearning courses are available via a dedicated LMS or with an Enterprise Licence. Visit www.e-learningcentre.co.uk to learn more. Webanywhere is a website design and bespoke learning technology company, providing web-based e learning platforms, interactive learning and online game based learning. 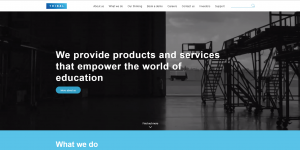 Webanywhere offer blended learning solutions, open source e learning management systems, e-portfolios, bespoke CMS websites and software integration. They also provide additional services, such as anti-plagiarism tools, as well as website hosting and game based learning. Leo Learning can expertly offer game based learning, and provide networking and discussion on multi-device e learning, blended learning solutions, and consultancy in strategic use of technology. Leo offers bespoke learning, multi- learning, interactive learning, mobile learning, rapid learning, blended learning LMS course building, game based learning, social learning, learning resources, translation and localisation content. Leo support a range of e learning platforms; Learning portal, Enterprise LMS, Education VLE, Bespoke, portals, Learning Record Store (LRS), Platform services. Leo are able to create game based learning using gomo learning, articulate storyline to create custom multi device e learning courses. 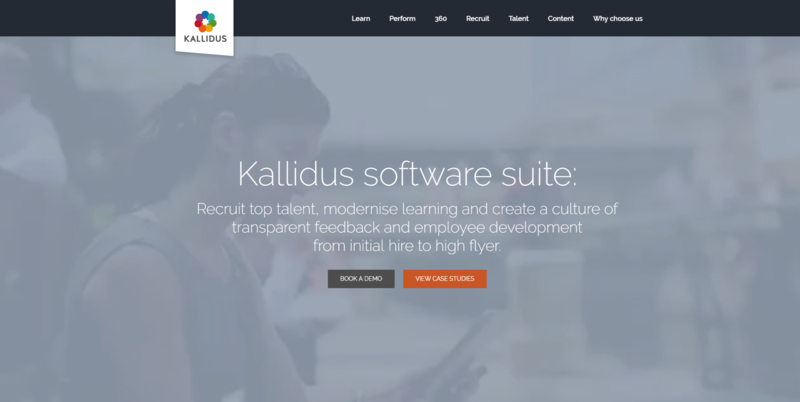 Kallidus provide e learning and talent management solutions, as well as products in Learning Management Systems(LMS), Performance Management, Talent & Succession and e learning Authoring Tools. Kalidus also can provide content & consultancy in talent strategy and learning, and bespoke learning content. DeltaNet is an elearning company that designs and develops web based learning, providing blended learning solutions and a range of strategic learning and development services; ready made elearning courses, bespoke elearning, elearning platform KreateIT and compliance tools. City & Guilds Kineo is a bespoke learning company that can provide a full range of services including; Consulting and capability building, Blended learning in the form of blended programme design and development, Custom, rapid and mobile elearning development, Course library of Kineo Essentials content, Learning portals and LMS using Totara LMS, Apprenticeships, Qualifications, Accreditation. 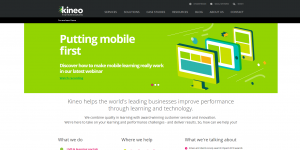 Kineo provide bespoke elearning programmes, specialising in Management and leadership, Sales and product knowledge, Customer service, Compliance and awareness, Technical and process training, Onboarding/induction and apprenticeships. 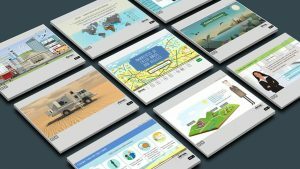 Desq create digital e learning, training and bespoke learning resources, game based learning and online courses, as well as custom-made digital learning and training. Desq are a creative media company providing blended learning solutions, designing and developing interactive solutions to e learning problems, and can design and develop custom-made interactive learning resources and e learning courses. Desq also develop for a range of delivery platforms from SCORM compliant Learning Management Systems to social enterprise software, the web and mobile. Desq specialise in developing game based learning and serious games, digital gameplay with learning, using gaming and simulation mechanisms to stimulate game based learning experiences. 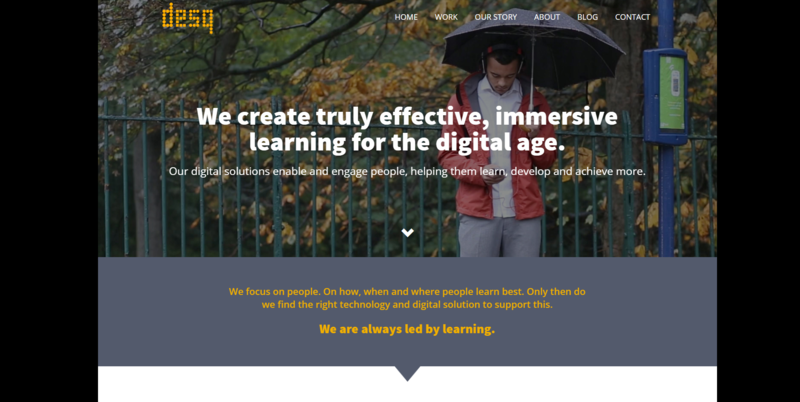 Tribal develop innovative elearning and interactive learning resources, and provide strategic advice and support, as well as solutions including elearning platforms and portals, high bandwidth multimedia, video content, online tutoring and mentoring support. They also integrate mobile learning technologies into our solutions.